J35 Model D is lithium compatible power and battery management system. It features a built-in solar regulator and a multi-stage battery charger to ensure long battery life. Use J35D to charge all types of lead acid batteries as well as lithium (LiFePO4) batteries. J35 allows charging of battery banks of up to 600Ah in capacity. 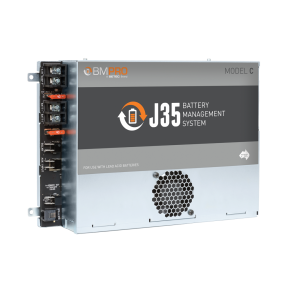 J35D allows you to charge the caravan battery to the optimal charge level from 230-240 Volt mains, your solar panel (28 Amp, or three panels 450W total), or from any auxiliary input, such as a power generator or your vehicle. J35D will increase the life span of your battery thanks to the multiple battery protection features, such as low voltage disconnect, storage mode and multistage charging. There are 14 outputs to connect your DC appliances, including hot water, water pump, lights, and many more. Built in electronic fuses protect the loads. Built in the top of the range Jayco caravans, the J35D can recover and charge a heavily discharged LiFePO4 battery. 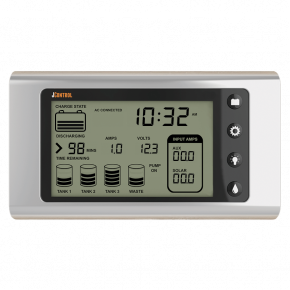 The internal Battery Management System (BMS) of a LiFePO4 battery will turn off if it detects that the battery is heavily discharged. The J35D will provide the voltage to restart the LiFePO4 battery’s BMS and then commence charging of the LiFePO4 battery. Pair J35D with the monitor, such as JControl, or a JHub app, to monitor your caravan power and control its functions. 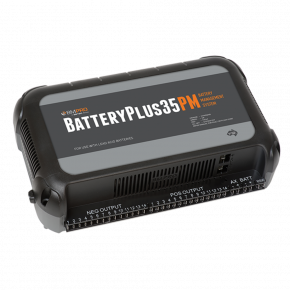 We recommend using J35D with BMPRO Sentry Lithium batteries.